As a Babyology reader you probably know your way around the virtual aisles and are comfortable with online shopping. Still, it’s always useful to remind yourself of secure online shopping practices and what makes for good customer service in virtual stores. 1. Check the basic details of the online store. Look for an email address, a phone number and a physical address so that if there is a question or a problem the seller can be contacted. Good customer service applies in online stores as it does in any shop. 2. Review the exchange, return, refund, shipping and handling policies. Reputable online stores will have this information clearly posted – if you can’t find it, ask the seller. It’s important to know whether the store or the customer is responsible for shipping costs if goods need to be exchanged or returned. You also need to know the merchant’s deadline for returns and what paperwork you’ll need. Always keep your packing until you’re sure you’re not going to return what you have bought. •	Look for a picture of the unbroken key or closed lock in your browser window (a graphical icon usually located in the bottom corner of the web page). Either one indicates that the security is working. A broken key or any open lock indicates that the page is not secure. •	Look to see if the web address on the page that asks for your credit card information begins with “https:” instead of “http”. 4. Use the safest way to pay online. Using a credit card via a secure shopping cart or PayPal is generally the safest way to shop online. Do not shop at online stores that ask you to email your credit card details – this is not safe. 5. Keep records of your transactions and payments. 6. Check the expected delivery date of your purchases and make sure you are there to receive your delivery if it is not safe to leave packages in your letterbox or at the door. 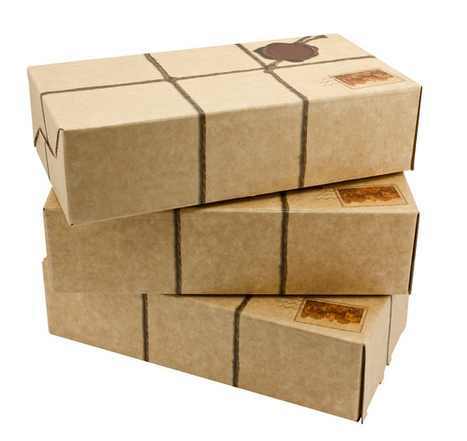 Or have the item shipped to an address where you know someone will be available to receive it. 8. When your purchase arrives, inspect it carefully and check the suitability. If there are faults or if the item needs to be exchanged, contact the seller as soon as possible, detailing the problem. a. Check the full cost of what you are buying – currency conversion, taxes, delivery fees, packaging and postage can add up quickly. b. Know the product. Ensure the product is legal and will work in Australia. Check that any warranties or guarantees offered are valid in Australia and that an authorised repairer is close by. When buying toys, furniture and other items for children, check that the product meets Australian Safety Standards. c. When dealing with businesses in other countries, Australian consumer protection laws may not apply. If something goes wrong, it may be hard to enforce your rights and get your money back. Also be aware that if the company is overseas, refunds or exchanges may be difficult.